3. 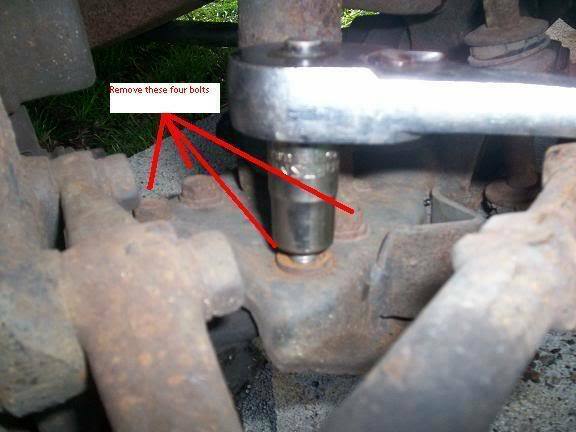 Remove the cotter pins and nuts from the studs of the ball joints. 4. 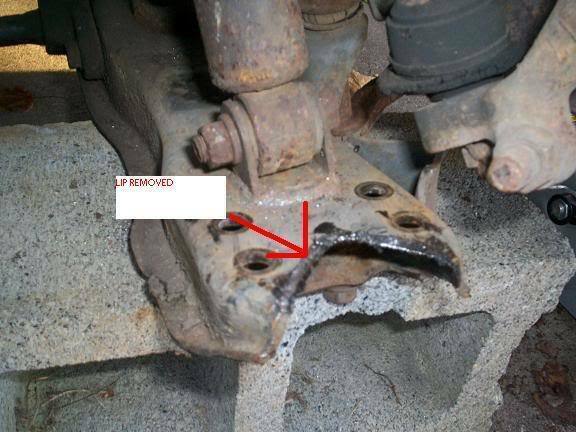 With a pickle fork and hammer seperate the spindle from the upper control arm do the same on the lower control arm ( DO NOT STRIKE THE END OF THE BALL JOINT ) YOU WILL MUSHROOM THE END AND WONT GET THE NUT BACK ON. 6. 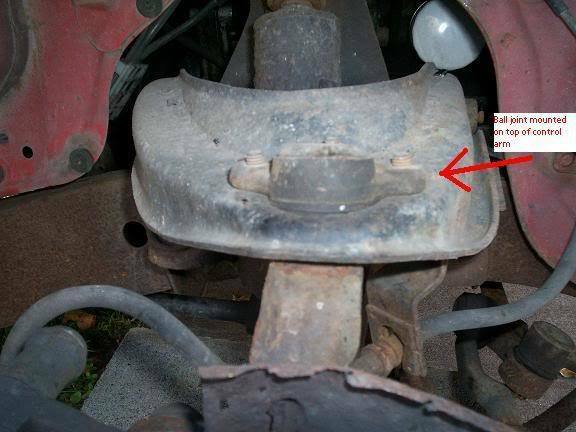 Remove the upper ball joint from the underside of the upper control arm place it on the top side of the control with the stud still facing DOWN. 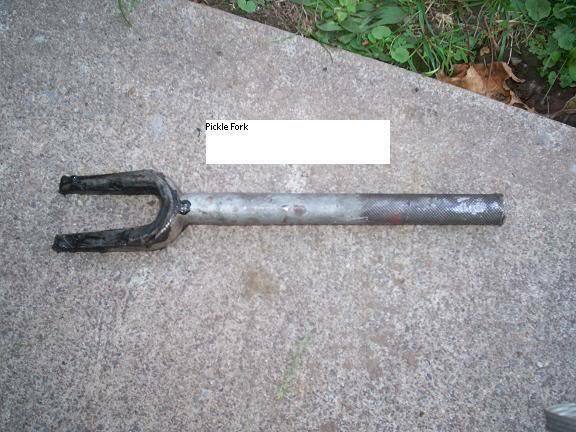 9.Once you have it cut off paint the bare metal area to prevent rust. 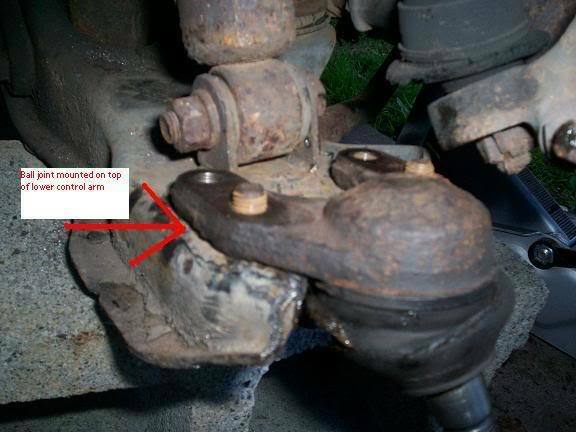 Bolt the ball joint onto the top side off the lower control arm with the stud still facing down. 11. 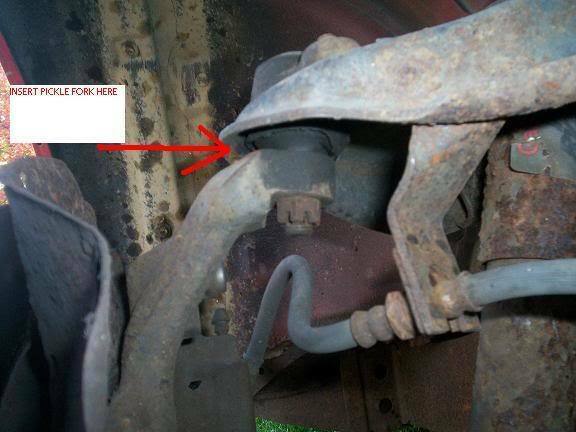 Reinstall the brake caliper and brake line retaining clip. 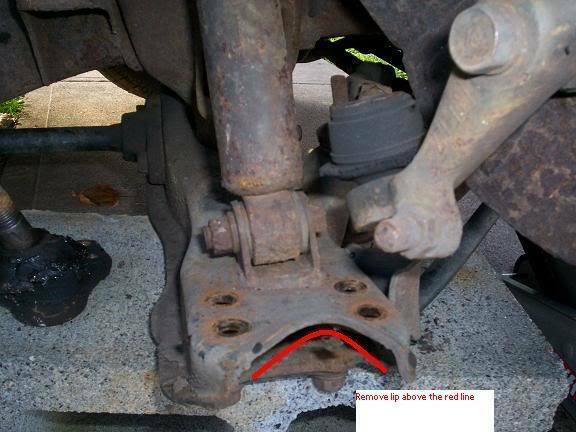 is it true that if you flip ball joints you must run a wheel of atleast 16 inches? NOW THATS THE KIND OF WRITEUP WE ARE TALKING ABOUT!!!!!!!!!!!!!!!!!!!! !